Developer Russell Galbut is moving forward with his plans for the 500-700 blocks of Alton Road and, if all approvals are secured, the demolition of the shell of the old South Shore Hospital could take place in April. 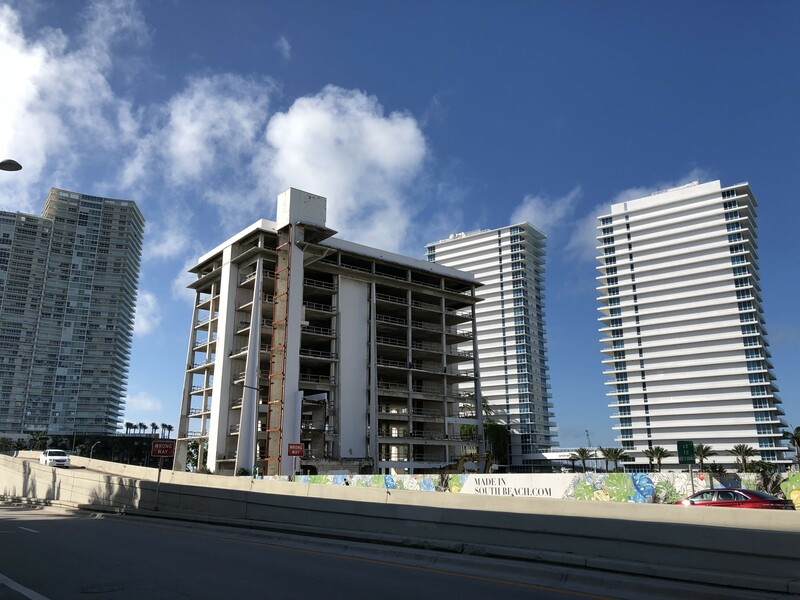 Miami Beach Commissioners gave final approval in December to zoning changes and a development agreement to allow Galbut’s Crescent Heights to build a 519-foot, 44 story tower on the 500 block. In exchange, the City will get a three-acre public park on the 600 block, built by the developer. The development agreement was signed last month and Commissioners approved on first reading an ordinance that would fast track the demolition of the hospital. The agreement included two options: keeping the old building in place until all project approvals and appeals processes have taken place or moving forward immediately with the demolition by giving Galbut the right to rebuild at 2.25 times the existing tower footprint in the event the proposed project is not developed. Members of the community have asked for a faster demolition to remove what they consider an eyesore and begin construction on a portion of the public park that Galbut will build and turn over to the City. Commissioners expressed concerns about giving the concession for a larger footprint on the old tower and not getting the public park. They asked City staff to come back with safeguard provisions before considering the ordinance on second reading in February. UPDATE: Ordinance approved on second reading. In the event the Commission approves the ordinance in February, Galbut has completed an application for implosion of the 10-story shell. If approved – both the ordinance and the implosion permit – he says demolition could happen by the end of April. In the meantime, Arquitectonica and various consultants are working on development plans and answering questions from the Planning Department.